There are a number of people within our community who would love to celebrate Pesach with sufficient Matzah, wine, and all the other requirements of Pesach, but are experiencing financial difficulties. 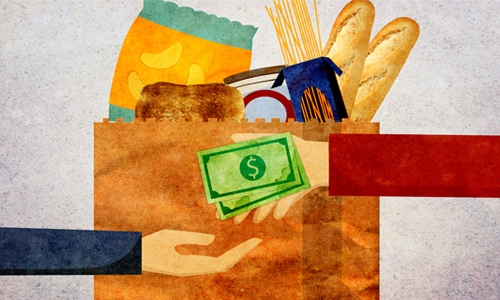 One of the biggest Mitzvot before Pesach is an age-old custom called ' Ma'os Chittim' - literally 'Money for Wheat (Matzah)' - helping our fellow Jews with necessities for Pesach. We are asking anyone who wishes to participate in this special Mitzvah to please consider how valuable your contribution is, however small, and the difference it will make to the joy of Yom Tov for a family in need. Your money will go directly to people in need, and will be an anonymous donation, unless you specify otherwise. There are specific families who are dependant upon this help. If you are able to help in any way, or if you know anyone in need, please fill-in the secure form below, so that we can distribute your funds or goods before Pesach. I would like to contribute to the assist families in need this Pesach.